LAS VEGAS, April 24, 2018 /PRNewswire/ -- Republic Services, Inc. (NYSE: RSG) is pleased to announce that collection drivers Toribio Gonzalez and Chuck Thorpe are the recipients of the National Waste & Recycling Association's (NWRA) prestigious Driver of the Year awards in the large industrial and large residential truck categories, respectively. Each year, NWRA celebrates the industry's best drivers with the distinguished recognition based upon exemplary safety records and customer service. The drivers were honored in Las Vegas today at the 2018 WasteExpo, North America's largest annual waste industry tradeshow. "We unequivocally prioritize safety above all else," said Jon Vander Ark, chief operating officer. "It's the foundation of our business and the cornerstone upon which our initiatives and programs are built. It's why we have established a best-in-class driver training program that enables our drivers across the country to continually improve. It's also fundamental to our commitment to our customers and how we make a positive impact each day in the communities we serve. On behalf of Republic and our 35,000 employees, I congratulate Toribio, Chuck and their families on this extraordinary recognition." As part of Republic's Huntington Beach, Calif. division, Toribio Gonzalez has devoted more than three decades of service to the industry, starting out as a residential driver, promoted to a commercial driver and currently as an industrial truck driver. Over the past 30 years, Toribio has maintained a perfect safety record with zero incidents or injuries, and has never taken an unscheduled day off. Toribio has received Republic's Dedicated to Excellence and Dedicated to Safety awards in 2015, 2016 and 2017. Averaging 310 miles and collecting 180 tons of waste each week, he is considered a leader and role model for fellow drivers, and serves as a mentor for new drivers, inspiring team members to approach the day with a positive attitude and a willingness to always go above and beyond for customers. Chuck Thorpe is part of Republic's Northeast Area based in Telford, Pa. Averaging 3,200 residential stops or pickups a week, he has earned and maintained an impeccable safety record with over 20 years incident and injury free. Chuck drives an average of 500 miles per week, collecting 60 tons of waste. Chuck has established a reputation as a leader and selfless team member. He takes great pride in the community he serves, but is also willing to go above and beyond for the Company. Chuck is part of Republic's SOS program, which consists of drivers from across the country who are deployed to service routes in the aftermath of natural disasters. He flew to Texas and Massachusetts last year to help local teams impacted by the storms. Republic's relentless commitment to safety has led to the formation of comprehensive, industry-leading safety programs that rely on continual training to reduce incident frequency. 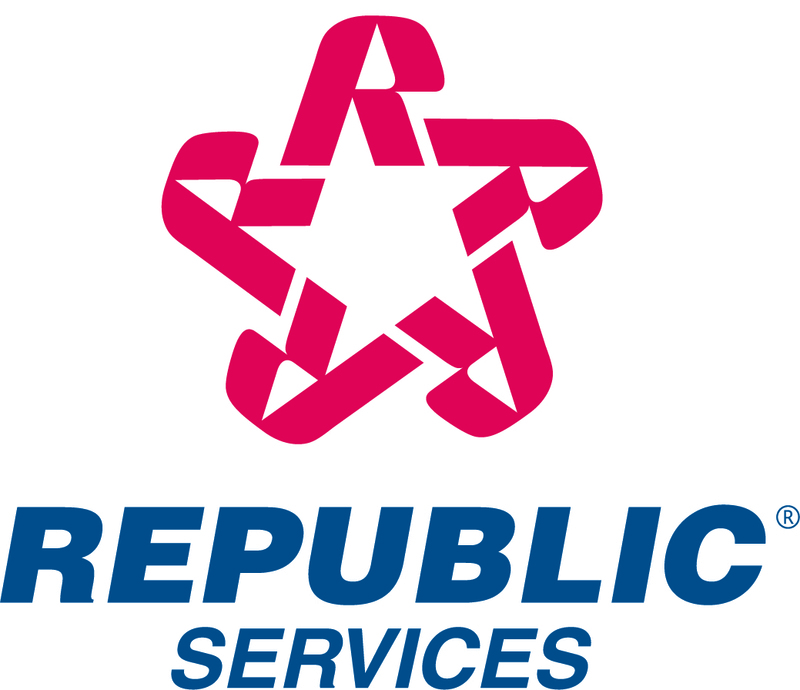 Last year, more than 13,500 employees earned Republic's Dedicated to Safety Award and roughly 4,700 employees received the Dedicated to Excellence recognition. Over the past 10 years, Republic's safety performance, based on Occupational Safety and Health Administration (OSHA) data, has been 41 percent better than the industry average. The Company's Think. Choose. Live. slogan encapsulates their number one safety message to employees: Think about what you are doing, Choose the safe answer, and Live to go home to your family. Republic's drivers begin their employment with week-long equipment training that focuses on skill set verification at one of 22 driver training safety centers nationwide. This initial training is followed by weeks of in-cab instruction and evaluation. Throughout their tenure, Republic drivers participate in monthly supervisor-led training focused on eliminating incidents.